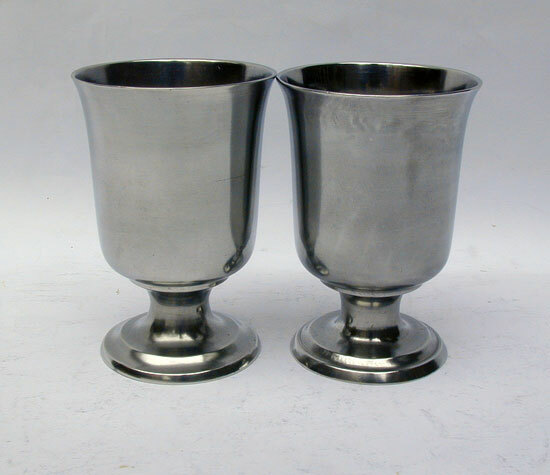 This pair of short chalices are the product of the Boardman shop in Hartford, Connecticut and are found with other Boardman marked pewter. 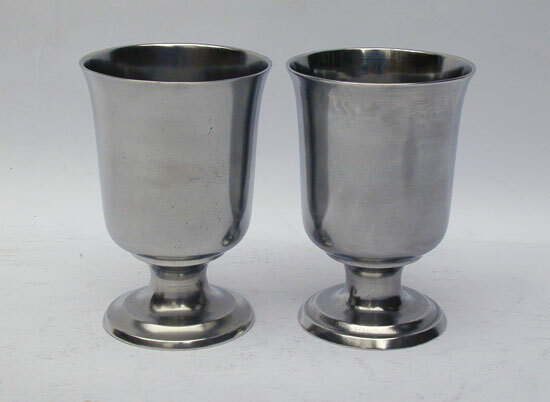 A very few examples of this size chalice are found marked Boardman & Co, New York. 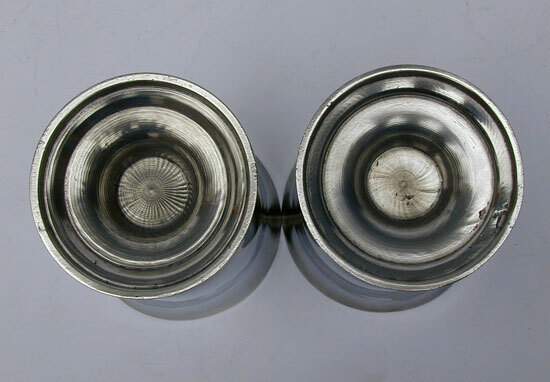 These all were made in Hartford and many were marketed through the New York Office. 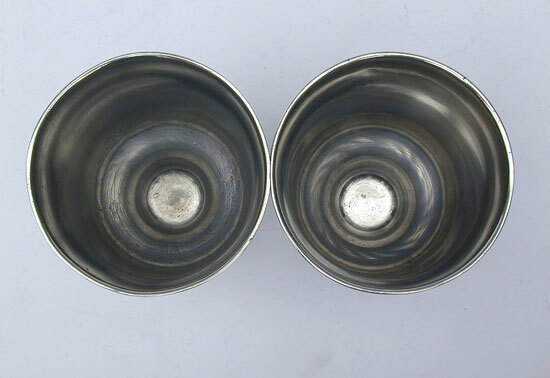 They are in near fine condition and measure 5 1/4" tall.